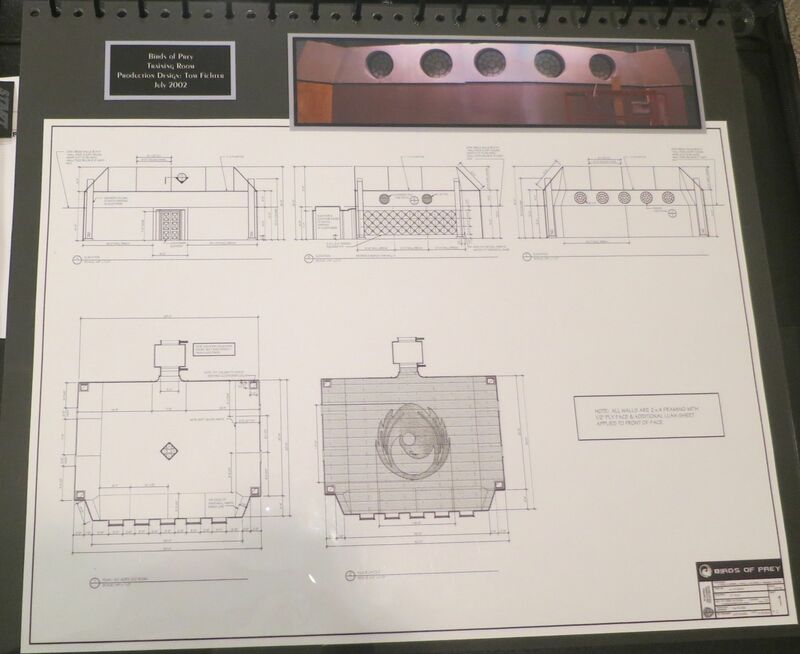 In the search to uncover as much as possible about the making of Birds of Prey, I was recently sent some great, never before seen draftings for the some of the standing sets for the show. I initially approached Jessica Kender, the set designer for the pilot, about joining me in a podcast interview. While she was unable to join the podcast, she was incredibly generous about sharing some of the work she did for the show. 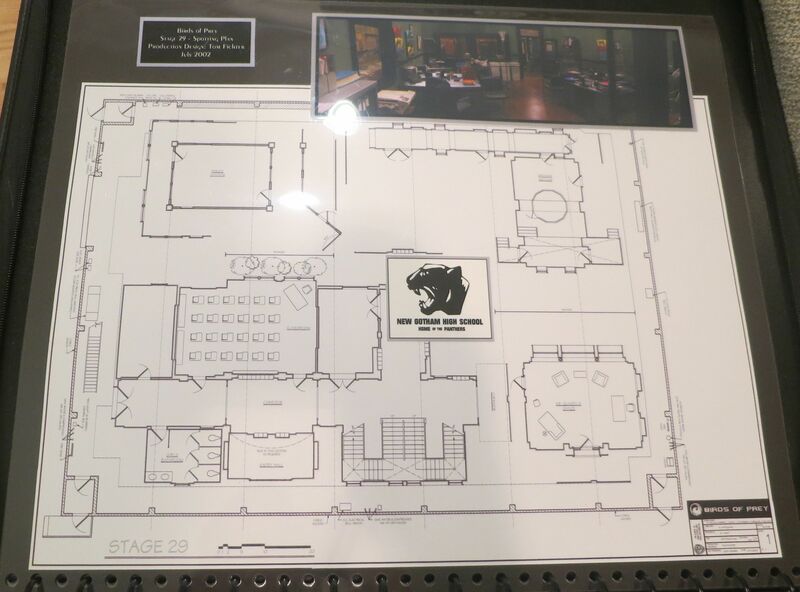 The first of the two pictures shows the layout of standing sets that were constructed on Stage 29 of the Warner Brothers Ranch in Burbank, CA. 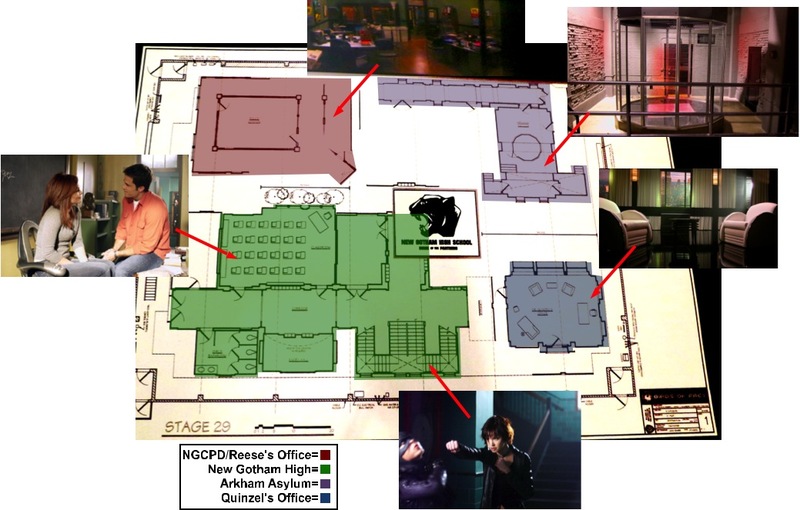 This stage held the NGCPD office and corridor, New Gotham High (which was also reused in “Nature of the Beast” as the abandoned hospital), the Arkham Asylum jail cell (and unseen corridor), and Harley’s psychiatrist office. I put together this color-coded collage to help highlight the sets pictured. The second of the two pictures is of the Birds’ training room, located somewhere on the second floor of the Clocktower (they never did say exactly where). This set was also reused several times throughout the show. 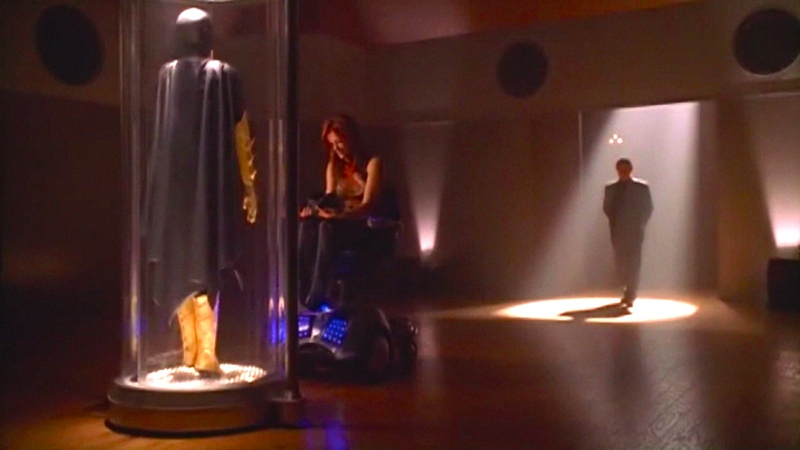 The best examples being as the lab that engineered Guy in “Three Birds and a Baby”, and the trophy room where Barbara keeps the Batgirl suit in “Lady Shiva”. I was thrilled to see these pictures the other day as production material from Birds is so rare to come by at this point. Thanks again to Jessica for taking the time to dig these pieces out of hiding so I could share them with you all! Would have been awesome if the show was able to use half as much Batman and Catwoman as there was in this trailer. Seriously, like every third shot is from one of the movies! 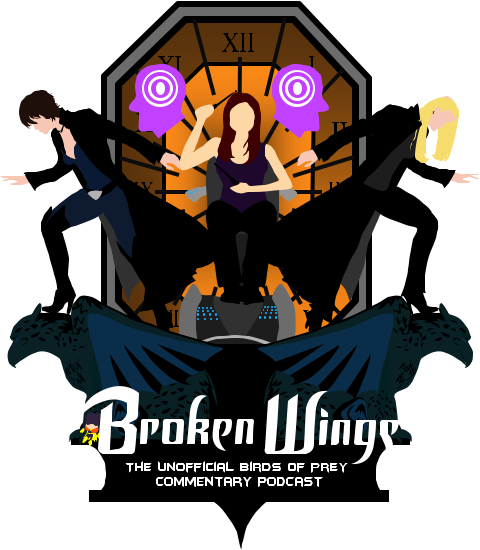 Looks like Broken Wings is going places, with style!